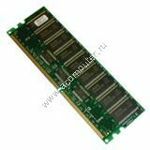 Micron is a world leading manufacturer of memory modules. 1GB 168pin PC133 ECC Registered SDRAM DIMM. The D8268A carries a MemoryX lifetime exchange or repair warranty against manufacturing defects. It may also be returned in original condition within 14 days of delivery for credit. 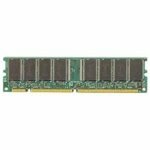 Compatible with Hewlett Packard NetServer LC 2000 D8524A, D8525A, D9162A, D9163A, D9164A, D9165A, P1798A, P1800A, P1802A, P1804A, P2478A, P2479A, P2480A, P2574A, P3493A, 2000/533 - 800, LC 2000R/533 - 800, LH 3000 D8244A, D8246A, D9176A, D9178A, D9180A, D9182A, P1178A, P1180A, P1794A, P1796A, P2482A, P2483A, LH 3000/533 - 800, 3000r/533 - 800, 6000 550, D9103A, D9104A, D9105AV, D9106AV, D9107A, D9108A, D9109AV, D9110AV, D9113AV, D9114AV, D9190A, D9191AV, D9192A, D9193AV, D9194A, D9195AV, D9196A, D9197AV, 6000/700, 6000R/550, 6000R/700, LP 1000r P1810A, P1811AV, P1812A, P1813AV, P2465A, P2466AV, P1824A, P1825AV, P1827A, P1828AV, P1830A, P1831AV, LT 6000R 550, P1756A, P1757AV, P1758A, P1759AV, LT 6000R/700, server tc3100, tc4100.